It’s officially autumn, and there’s no better way to celebrate the change in season than dishing up the flavors of the harvest bounty of corn and apples. This polenta pancake recipe brings the two together in a dish that is both delicate in flavor and hearty in texture. Polenta pancakes are a rustic, hearty style of pancakes. 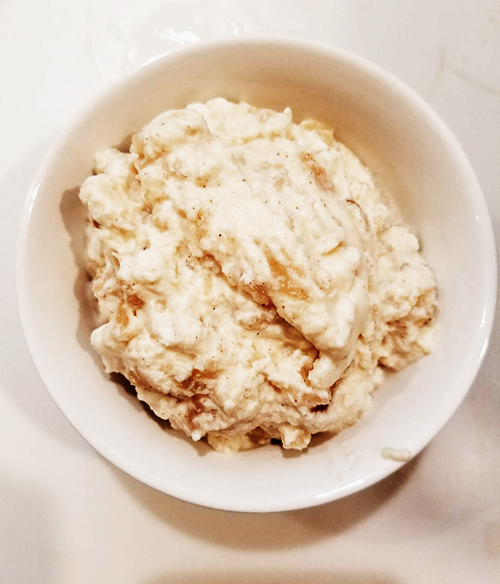 The crema recipe takes its inspiration from the French crème fraîche. 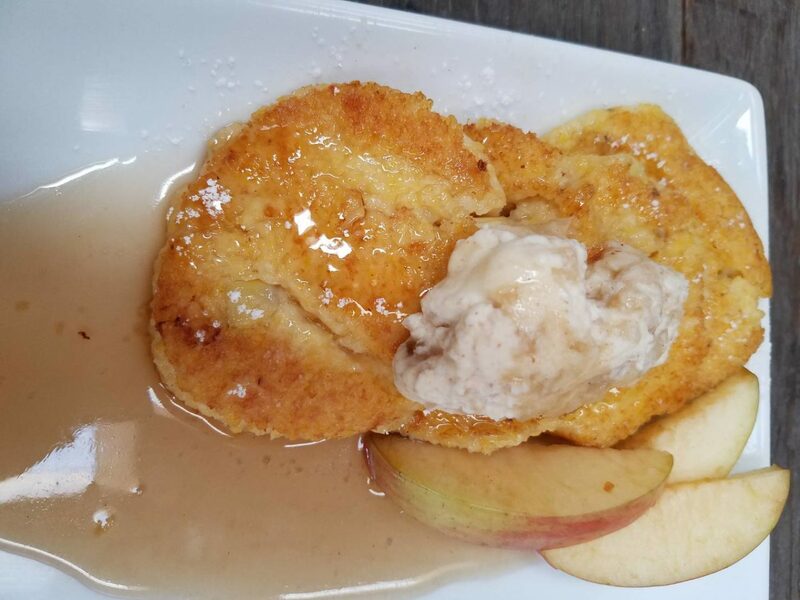 Our “crema” is sweeter, and provides a nice counterpoint to the pancakes. Polenta pancakes with apple crema is the perfect slow-living way to welcome autumn. Cover a baking sheet with parchment paper and set aside. In a small saucepan, cook 2 tbsp of butter until it begins to crackle and turn brown. Set aside. In a medium saucepan, bring water to a boil. 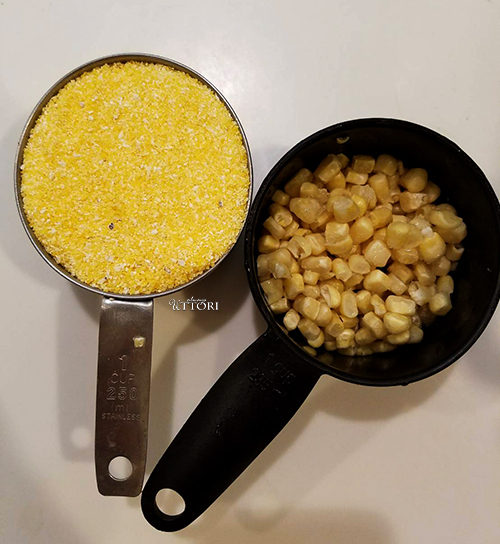 Quickly whisk in the polenta to avoid clumps, if using corn kernels, add at this time. Cook until thick, about 10-12 minutes. 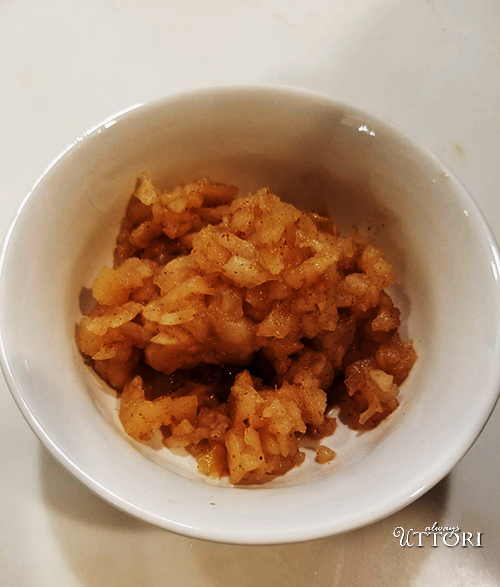 Stir in browned butter and sugar. 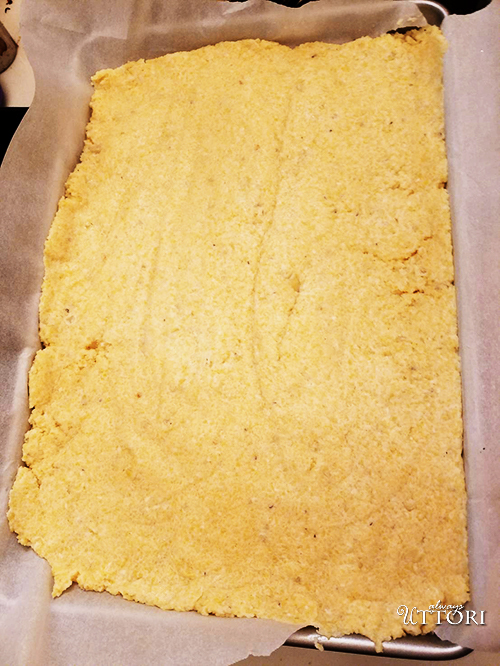 While polenta is warm, spread on to the prepared baking sheet. Spread until it forms an even layer. Chill for 1-2 hours. 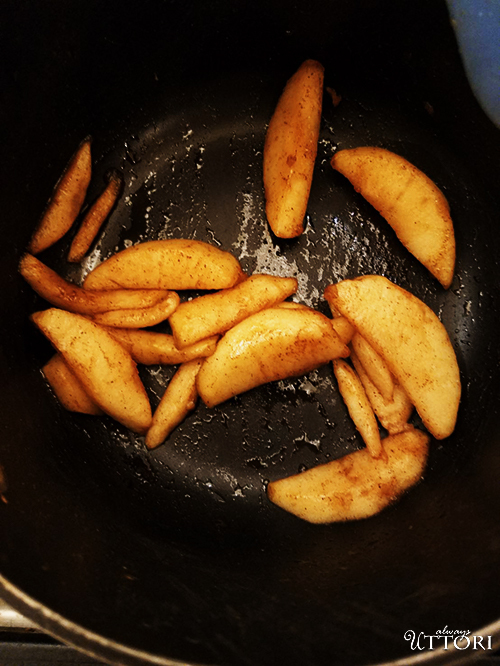 Meanwhile, prepare apple crema. 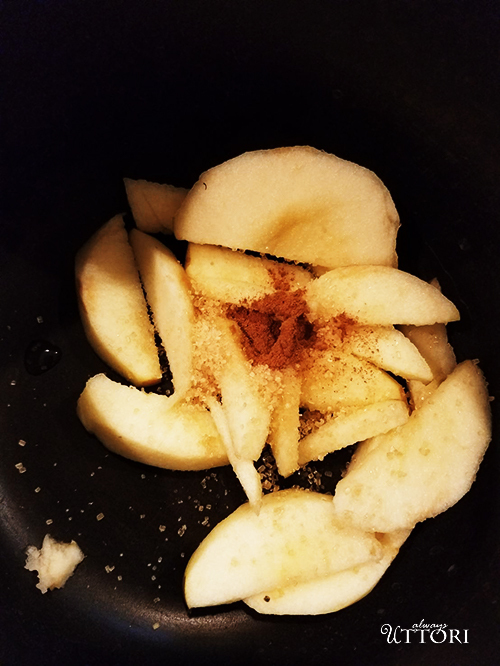 Mix apple, cinnamon, sugar, and water in a small saucepan. Cook until soft, about 10 minutes. 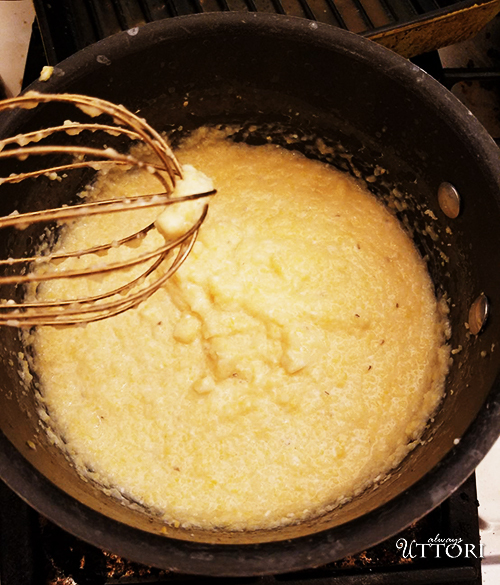 Blend the mixture until it forms a soft puree. 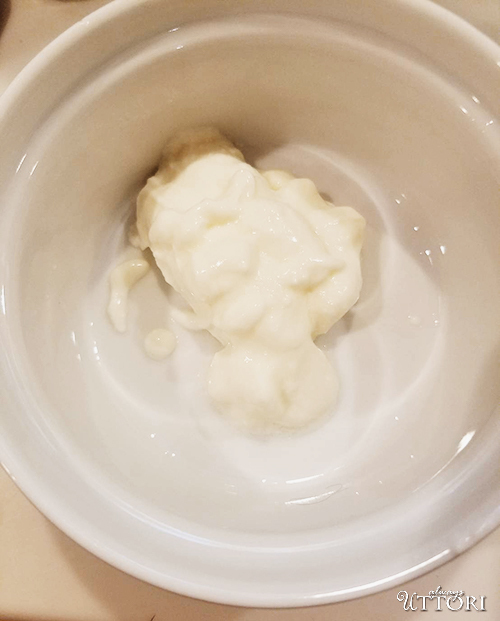 In a stand mixer, whip cream and vanilla until soft peaks form. Gently fold in the apple puree. Let chill in refrigerator until ready to use. 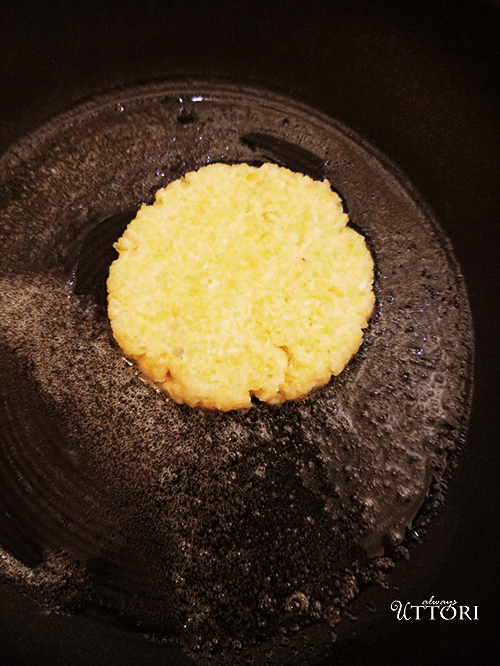 Once the polenta has chilled, use a cookie cutter of any size to make pancake size circles. In a skillet, place 1 tsp of butter and place polenta over it. Cook 2 minutes on each side. Be gentle. The pancakes can break easily. 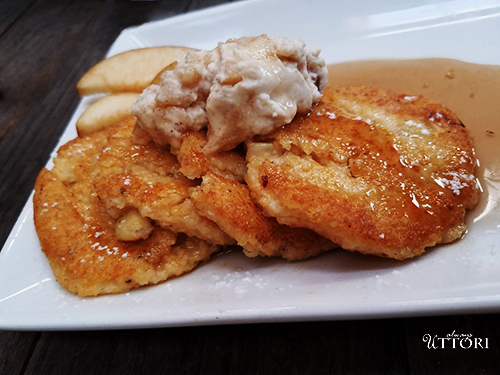 Once the pancakes are cooked, lightly dust with powdered sugar, drizzle with syrup, and top with a generous dollop of apple crema.